Time for some news on future releases that I am really looking forward to and I think you will too. Random House will be re-issuing Jean Plaidy's Light on Lucrezia and Madonna of the Seven Hills on January 18, 2011. Both books make up the Lucrezia Borgia series and I think are perfect and just in time for you to get all juiced up and ready for the new program on Showtime, The Borgias! I read them a few years ago and really enjoyed them. Author Karen Maitland is releasing a new book on March 3, 2011 in the UK...so far no word on a release date in the US but trust me I will be looking and will let you know when I find it. If you haven't read Karen Maitland yet then you are really missing out...she is fantastic! I loved Company of Liars (READ MY REVIEW) and The Owl Killers , so I will for sure be picking this one up. SYNOPSIS: 1210 and a black force is sweeping England. For a vengeful King John has seized control of the Church, leaving corpses to lie in unconsecrated ground, babies unbaptized in their cradles and the people terrified of dying in sin. And in the village of Gastmere, the consequences grow darker still when Elena, a servant girl, is dragged into a conspiracy to absolve the sins of the lord of the manor. As the terrors that soon begin to plague Elena's sleep grow darker, in desperation she visits the cunning woman, who has been waiting for just such an opportunity to fulfill an ancient curse conjured at the gallows. Elena, haunted by this curse and threatened with death for a crime she didn't commit, flees the village ... only to find her nightmare has barely begun. For treachery lurks in every shadow as King John’s brutal reign makes enemies of brothers, murderers of virgins and sinners of us all. Most of you know that I am a big fan of author Rosalind Laker - her books The Venetian Mask and To Dance with Kings are among my all-time fave reads, so I was so excited to see that she will be releasing a new book called House of the Fjord on May 1, 2011 in the US and January 27, 2011 in the UK (I'm assuming it's new and not a re-issue unless they changed the name if it is a re-issue). I found a brief synopsis on FantasticFictionUK: A touching and atmospheric love story - When Anna Harvik travels to Norway in 1946 in order to visit the family of her late husband, the country is only just recovering from five cruel years of Nazi occupation. So it is with surprise that she finds in this cold and bitter country the capacity for new love and perhaps even a new home. One of my newest favorite authors, Kate Furnivall, is releasing a new novel next year on August 2, 2011 and is titled The White Pearl . It sounds really interesting and definitely different than anything HF I've read to date. Another release that comes out the same day as the Furnivall book is one that I know a lot of you (and moi) will be excited for.... 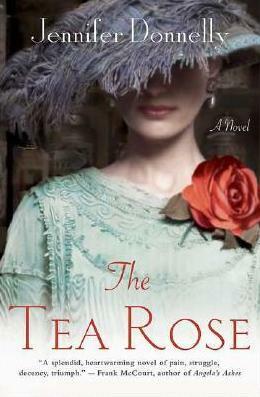 The Wild Rose by Jennifer Donnelly, book three in The Tea Rose trilogy, will be released on August 2, 2011! Per JenniferDonnelly.com: The Wild Rose will continue the Finnegan saga, taking the family through World War One and into the 1920s. 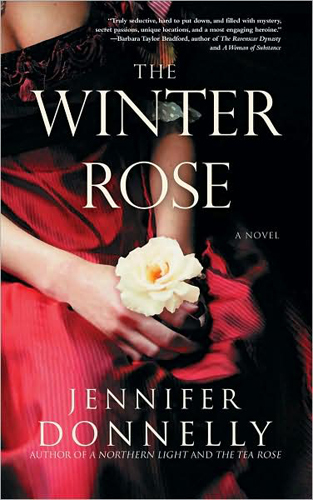 Here are my reviews of The Tea Rose and The Winter Rose if you fancy a read. And last but not least is a future non-fiction release on King Henry VIII titled, Young Henry: The Rise of Henry VIII by Robert Hutchinson. It will be released in the UK on April 14, 2011, but there is no US date yet. SYNOPSIS: Henry VIII always had problems with women. Born on 28 June 1491, he lived in the shadow of his elder brother Arthur and his dour and autocratic father, Henry VII. Elizabeth of York, Henry's mother, died when he was twelve and thereafter he lived under the thumb of his formidable grandmother, Lady Margaret Beaufort, who beneath a pious exterior was the arch-conspirator of the last days of the Wars of the Roses. Everything changed when Arthur died of tuberculosis at Ludlow Castle in 1502, less than six months after his marriage to the Spanish princess, Catherine of Aragon. Henry VII died in April 1509 when his sole heir was nine weeks away from his eighteenth birthday. His grandmother acted as regent until his birthday and he married his brother's widow, Catherine on 11 June, two weeks before their joint coronation. Henry quickly swept away the musty cobwebs of his father's court. He loved magnificence, merriment and the hunting field, and could fire an arrow further than most of his professional archers. Henry could dance everyone off their feet and could drink most men under the table. But Henry became frustrated and angry at his lack of sons by Catherine and his attention began to wander. Some time in 1526 he fell passionately in love with Anne Boleyn. At the age of 35, the time for youthful frolic had ended. To achieve his heart's overpowering desire, the executions had now to begin. 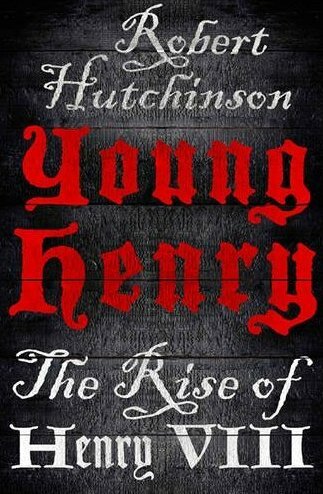 Young Henry provides readers with an unique and compelling vision of the splendours and tragedies of the royal court, presided over by a magnificent and ruthless monarch. I'm looking forward to the Henry VIII book and also to the two Jean Plaidy reissues. I have Light of Lucrezia, but not Madonna of the Seven Hills; for once, I haven't had the experience of tracking down a used Plaidy book only to have it reissued! Young Henry sounds like it will be a fascinating read. It should shed some light on his life and actions in later years. 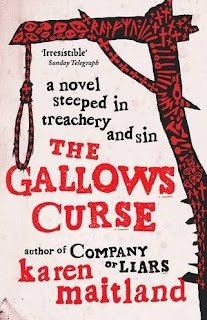 The cover design for The Gallows Curse is so striking -- my eye immediately went to it! All these releases sound divine, but I'm extra eager for the Maitland!